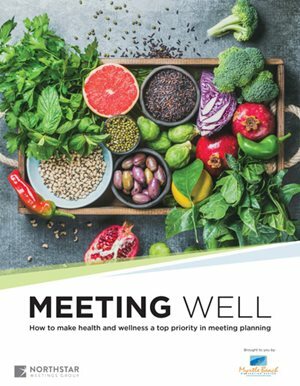 The practice of living well — in mind, body and spirit — is a growing priority for meeting-goers, who aim to continue their healthy habits on the road. Any well-planned meeting should take those objectives into account. This special educational guide provides expert advice on crafting agendas that will keep all participants engaged and functioning at their best; serving food and beverages that help attendees stay sharp; and clever ways to bring wandering minds back to the subject at hand. Clearly communicate with all speakers that sessions must start and end on time, with no exceptions.